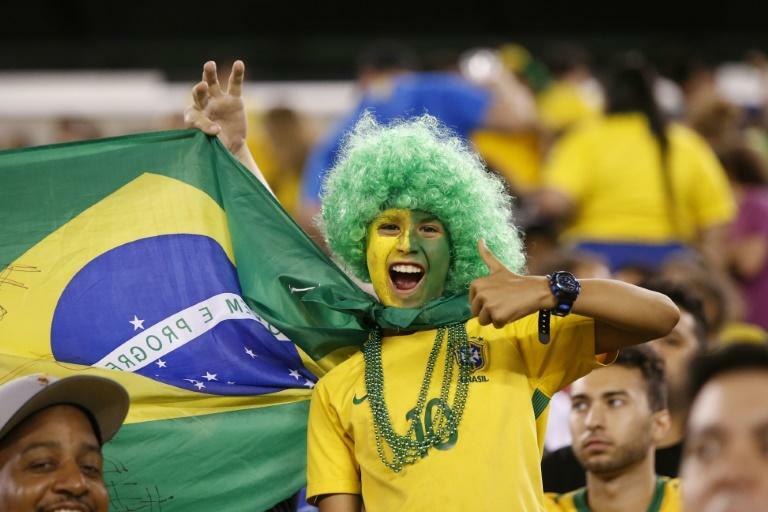 United States football fans have been enjoying a special treat during the latest international break as Latin America's heavyweights Brazil, Argentina and Mexico have decamped to the north for a pair of friendlies. It was an unexpected boost for a country still smarting from its embarrassing failure to qualify for the World Cup in Russia, eliminated from qualifying by minnows Panama. But with a total of nine friendlies involving Latin American sides over two match days being played in the US, many have asked why there is such a proliferation all of a sudden. 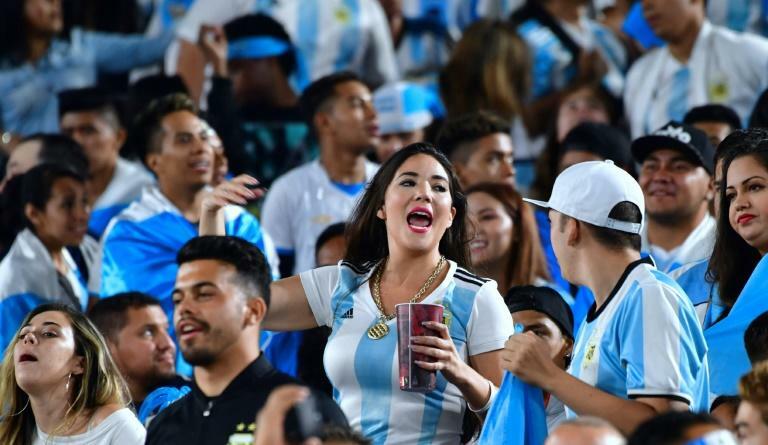 "It's a question of the market," Carolina Jaramillo, director at Colombian sports marketing agency Score, told AFP. "The US is a market that's absolutely growing. It's huge, with a very big Hispanic market." Some 24 years after hosting the World Cup for the first time and despite winning the right, alongside neighbors Canada and Mexico to deliver the 2026 edition, US football continues to struggle to compete for attention alongside the traditional sports of baseball, basketball and American football. In the United States there is a joke that football "is the sport of the future... and always will be." But driven by a large Latin American diaspora, many of whom hail from football-mad homelands, hope remains that "the beautiful game" will one day truly explode. "Now, with the World Cup in 2026 alongside Canada and Mexico, they know and understand that football is good business," added Jaramillo. In a recent Gallup poll, seven percent of Americans listed football as their favorite sport. That puts it just two percent behind the country's traditional national pastime, baseball, third on the list behind American football (37) and basketball (11). In absolute terms, that translates to around 23 million Americans identifying football as their top pick -- more than the population of reigning Copa America champions Chile (18 million) and seven times more than twice World Cup winners Uruguay's population. Alongside the NBA, it's the sport growing the most amongst 18-34-year-olds. September's batch of friendlies is one way of trying to exploit the potential of that market. On Friday, Brazil beat the US 2-0 in New Jersey, as Paris Saint-Germain star Neymar netted a penalty. With Lionel Messi rested, Argentina still beat minnows Guatemala 3-0 in Los Angeles, while Uruguay stunned Mexico 4-1 in Houston. On Tuesday, Brazil take on El Salvador, Argentina play Colombia and Mexico will lock horns with their old rivals the US. That last match takes place in Nashville, a city better known for its country music than football and with a Hispanic population of barely 10 percent. But such is the number of Mexicans living in the US that "Mexico are the only team in the world with two big markets," Jaramillo says. "With the Mexicans that live in the US, they've always exploited the nostalgia market." Playing in the US is a great money spinner for Mexico with every match worth a million dollars, according to Rogelio Roa, commercial vice president at Mexican club Puebla. Marisabel Munoz, from New York-based Soccer United Marketing, one of the Mexican national team's sponsors, says "it's an opportunity" for US-based fans to see their team, while also presenting the players with the chance to play in "the best stadiums" and use state of the art training facilities. Mexico's sporting director Gerardo Torrado says proximity is another bonus while "elite stadiums" in their northern neighbor have "natural pitches that favor" a slick passing game. From the perspective of infrastructure, logistical capacity, organization and promotion, the United States offers superior facilities to the rest of the Americas and that's attractive even for a superpower like Brazil. "Interest is growing in the United States and there's a huge event promotion industry, including local sponsors," said Brazilian-based sports marketing consultant Erich Beting. Another attraction is the ability to outsource the arduous task of organizing such matches, although that's accompanied by potential pitfalls. "It's a very old custom, and the origin of the scandals in South American football," added Beting, who claims Brazil sold the commercial rights to a game in the US for $5 million, thus delegating to an agency everything from the search for opponents to the sale of tickets. But several Latin American football officials were caught up in the wide-ranging FIFA corruption scandal involving the taking of bribes from sports marketing countries in exchange for broadcast contracts at major tournaments. Just last month, two former top administrators, Brazil's Jose Maria Marin and Juan Angel Napout of Paraguay were jailed in New York for accepting bribes. They are among 42 people originally indicted by US courts. Whether or not such illegal practices persist, Latin American sides continue to travel the world to play lucrative friendlies. Brazil, the 2014 World Cup hosts and set to organize the 2019 Copa America too, haven't played at home in almost a year, travelling to England, France, Germany, Russia and Austria for friendlies -- although given most of their players ply their club trade in Europe, there is a certain logic to that. Perhaps now, though, the US will become a more regular site for such matches, and Jaramillo believes it has a lot to offer. "The 'gringos' are the marketing kings. Part of the exercise is that they put their stamp on it and turn it into a show."